Gary is the Gary that slept with Barb as you could guess. Gary, for whatever liked me, or rather I found that I found myself listening to Gary way more than anyone else. Maybe it was because I was only 16 that Gary felt compelled to tell me of the ways of women. Or that is to say his interpretation on the subject, a subject I never brought up to Gary myself. 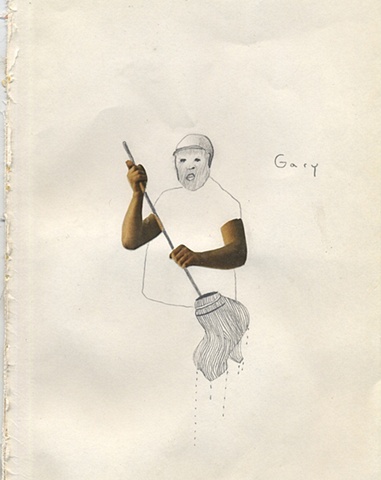 Gary was very vulgar and never censored himself in any way. In fact he would become amplified when departing his knowledge to me in front of customers. At the end of one of his “lessons” he would throw his mop into the muddy water bucket and moan a gross“mmmmmah”, and allow his eyes to wander to wherever Barb was. Gross.